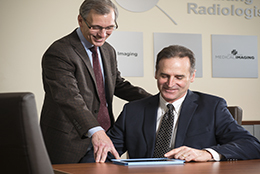 Consulting Radiologists, Ltd. traces its history back to 1929, when Dr. Robert Allison and Dr. Malcolm Hanson partnered to form one of the Twin Cities’ first radiology practices: Doctors Allison and Hanson. Regional pioneers in the field, these physicians helped lay the clinical and educational groundwork for the emerging field of radiology. In the 1940s, the practice grew and changed its name to Hanson, Hanson and Iverson, and in the late 1950’s, to Hanson, Iverson and Nord. In 1971, the practice was incorporated under its present name of Consulting Radiologists, Ltd. The leadership and values of CRL’s founding physicians remain the key cornerstones of our practice today. 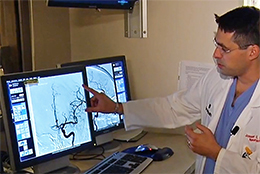 CRL physicians serve as leaders at national, regional, and local levels. Many have received awards for their leadership, quality of care, and commitment to improving colleague and patient relationships. We are committed to partnering with both patients and referring providers to improve healthcare outcomes through accurate and timely image interpretations and appropriate interventions. A premiere, full-service radiology group providing care for over 80 years. Take a look at the latest news!